Measuring 72 metres, luxury motor yacht Titania (ex Apoise) is a beautiful, Lurssen-built vessel with exterior styling by Espen Oeino and impressive interior designed by Francois Zuretti. Charter Yacht TITANIA is one of the largest and most distinctive mega charter yachts in the world, offering the ultimate cruising experience. 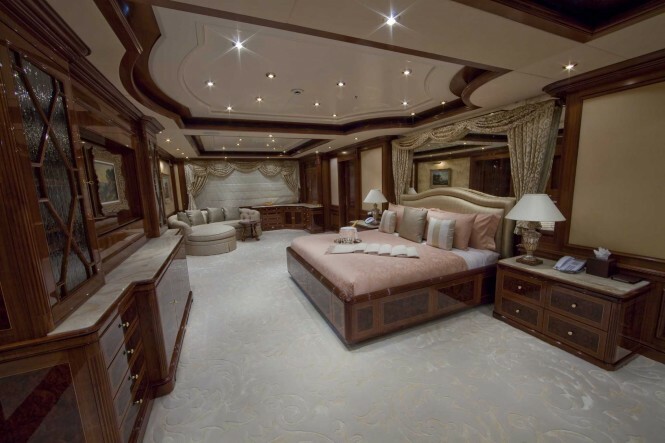 From her elegant and elaborate furnishings, to the luxurious owner’s cabin on the main deck, no aspect was overlooked in the design and appointment of this superior charter vessel. Usually available at a charter rate of US$ 550.000 to US$ 600.000 per week plus expenses, mega yacht TITANIA (ex Apoise) is currently available at a reduced charter rate of US$ 350,000 per week, plus expenses. 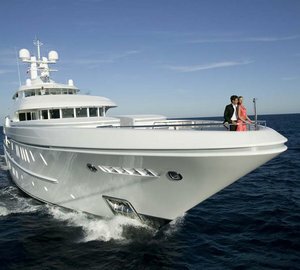 The rate is valid for yacht charters taking place between January 14th and March 31st, 2013, in the staggering destination – the Seychelles. 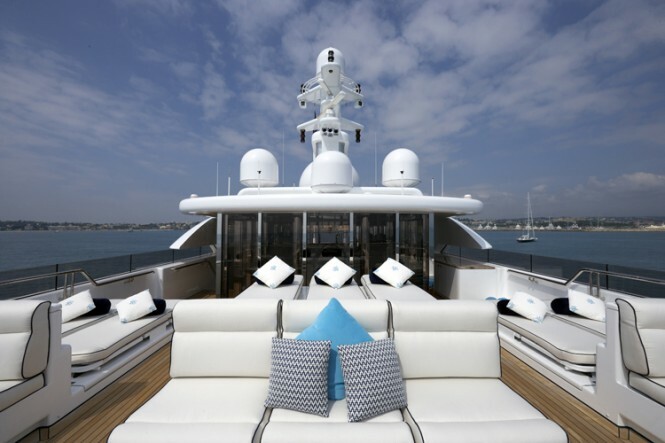 Titania was launched in 2006 and received a comprehensive refit in 2012. 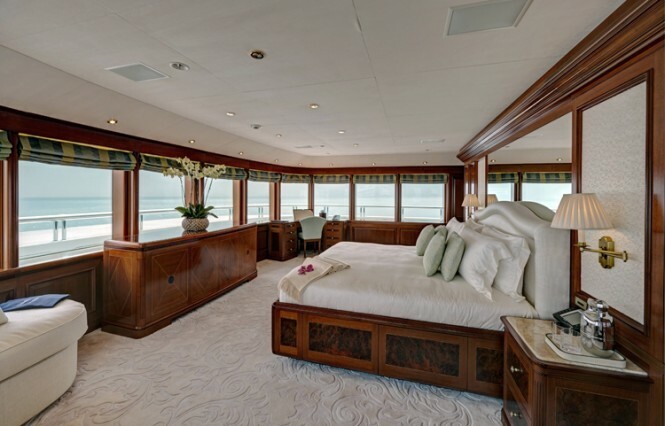 She was beautifully upgraded to include a new beach club and sauna, sun deck gym as well as a health spa, also boasting a new second master suite located on the upper deck. 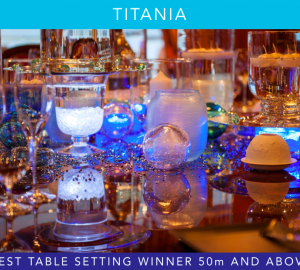 The beautifully refitted luxury charter yacht Titania was recently nominated as one of the finalists in the 2013 World Superyacht Awards in the ‘Refit’ category and she was also amongst the finalists for the ISS International Design Award in 2012, in the ‘Best Refit’ category. Accommodation aboard this uncompromising luxury vessel is offered to 12 charter guests in 7 cabins (plus 3 supernumeraries) who will experience the highest level of comfort and excitement. 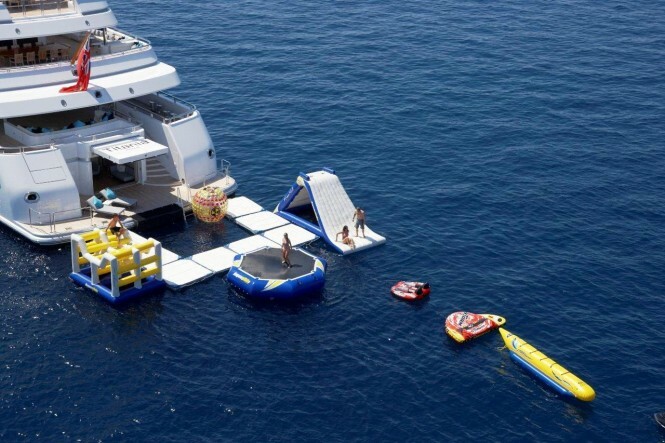 The vessel spreads over six decks and her outstanding special features include a spectacular and spacious sundeck with 360° views, a massive Spa Pool, sports bar, theatre, gymnasium and all-round Wi-Fi. 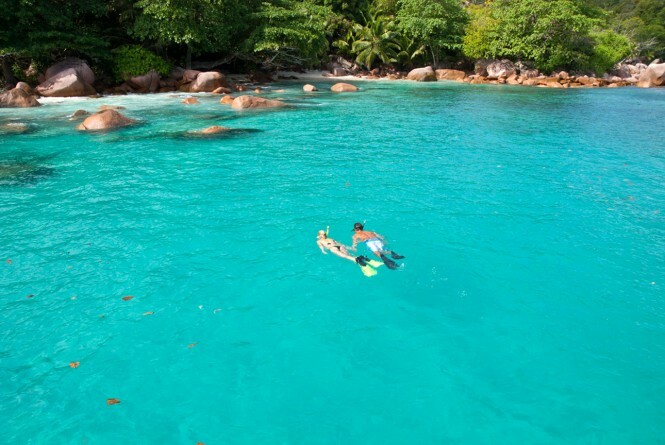 If you are planning on chartering a yacht in Seychelles, well, be prepared to … cruise into the Paradise! One of the most beautiful places on earth, made up of 115 beautiful islands scattered in the Indian Ocean is there to welcome you and spoil you with its spectacular white sand beaches, washed over by turquoise waters and lush hills as a backdrop. 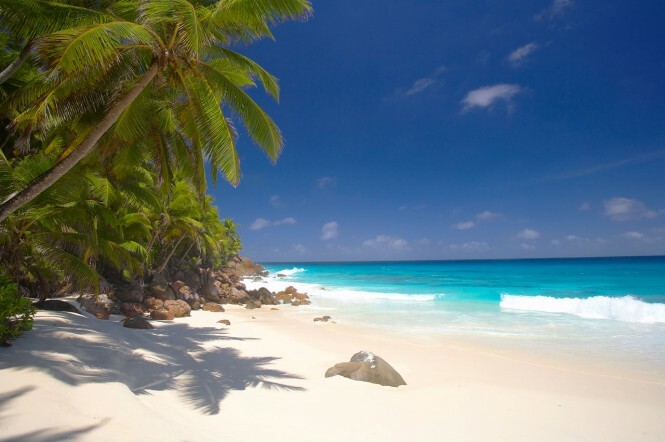 Luxury yacht charter destination, Seychelles, is an ideal place to unwind and recharge, while enjoying one of Mother Nature’s most beautiful art pieces. There is so much to do, from bird-watching and observing giant tortoise in their natural habitat, to diving in the spectacular topaz-coloured waters of the ocean. 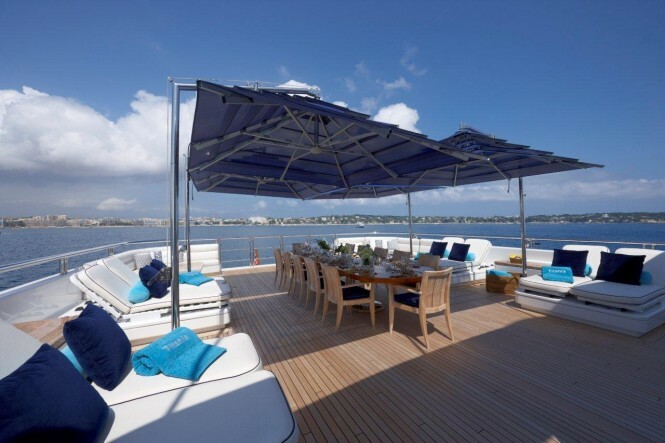 You can also choose to simply lie on the beach, relax or enjoy a beautiful al-fresco meal aboard your charter yacht, in the company of your loved ones. Should you tire of all that relaxation and desire some more action, you could choose to cruise toward Beau Vallon hub of Mahe’s tourism industry, home to a wide selection of excellent restaurants, dive centres, casino and many other exciting tourist activities. 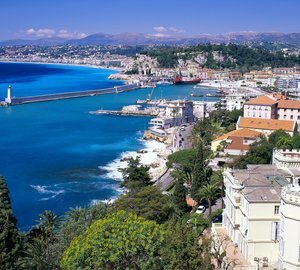 For diving and snorkelling aficionados anchoring at Baie Ternay is a must! 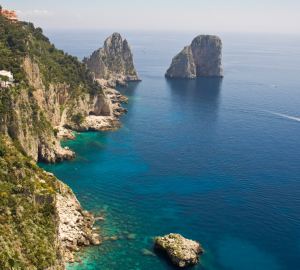 This marine park offers sublime beaches and crystal clear waters where dolphins often come to play in the early evening. 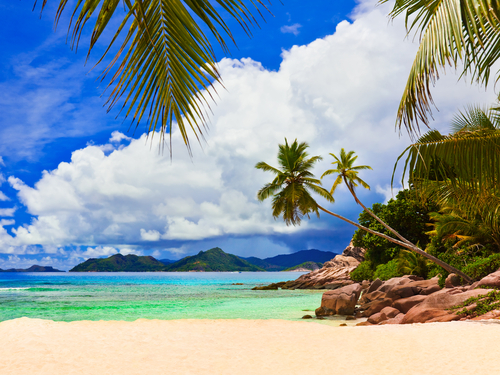 Your luxury superyacht charter vacation in Seychelles should also include a visit to one of the most beautiful beaches on Earth. Here you could spend the afternoon snorkelling the Cocos Marine Park, compared to an aquarium, or you could swim with the turtles right next door at the island of Felicite. If you are ready to discover the Paradise and would like to have more information about how to get there, contact our friendly charter brokers here. 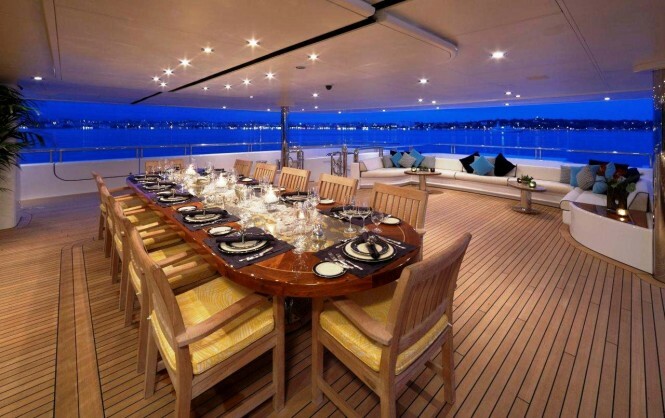 We will provide you with all the information you need in regard to chartering a yacht in Seychelles and will certainly find the best suitable boat for an unforgettable charter experience. 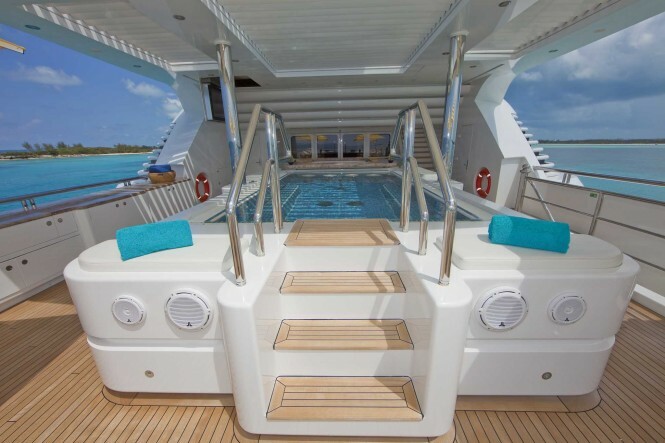 Please contact CharterWorld - the luxury yacht charter specialist - for more on superyacht news item "Outstanding SEYCHELLES yacht charter special for Charter Yacht TITANIA (ex Apoise)".